There is an underground music sub-culture that’s growing rapidly in Nepal. While the mainstream music is focused and stuck on producing friendly poppy songs and videos, the underground scene is taking strides on exploring new dimensions in music genres, technical prowess and sheer creativity. People who are aware and part of this scene’s existence take pride in it while the general population is mostly shocked when exposed to it’s elements. 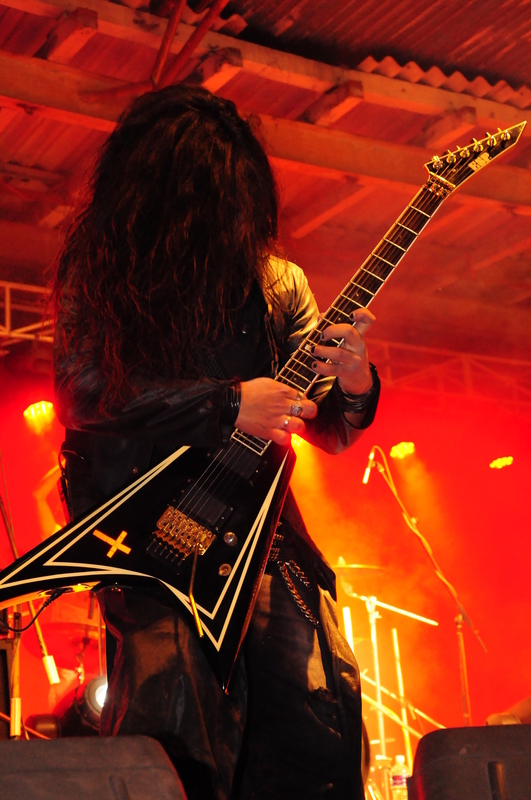 This image of the lead guitarist of Black Metal band Kalodin was taken in one of the popular underground concert series “Ides of March” on 29th March 2011.